OpenCart QuickBooks Desktop Connector: QuickBooks Desktop is a one-time purchase accounting software to be installed on your desktop computer.Considering the major advantages of Quickbook desktop version, Webkul has integrated it with Opencart. Using the Opencart QuickBooks Desktop Version you will be able to sync your Opencart Store - Customer, Product, and Order details with the QuickBooks. Also, when a new user registers, or you add a new product, and when an order is placed by customers all of this data is synchronized with your QuickBooks Desktop. 1. To use the desktop version, however, you need to install software onto your computer and install updates periodically. 2. For integrating QuickBooks Online with OpenCart store, please use OpenCart QuickBooks Connector module. The admin can configure the module as per the requirement. The admin can synchronize the Opencart store - Customers, Products, and Orders with the QuickBooks Desktop. Sync New Customer Registration from the Opencart Store to the QuickBooks Desktop. 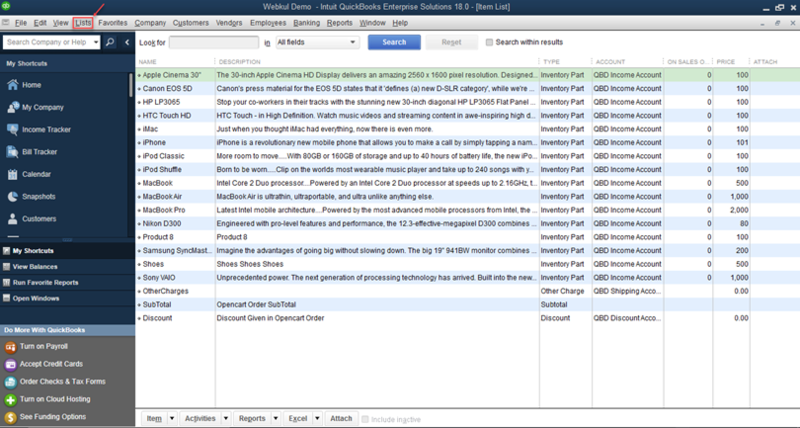 Sync Adding a new Product from the Opencart Store to the QuickBooks Desktop. 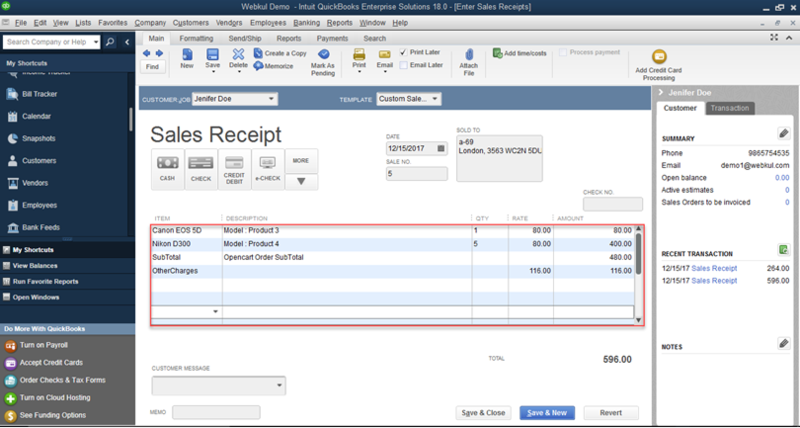 Sync Orders placed in the Opencart Store with QuickBooks Desktop. 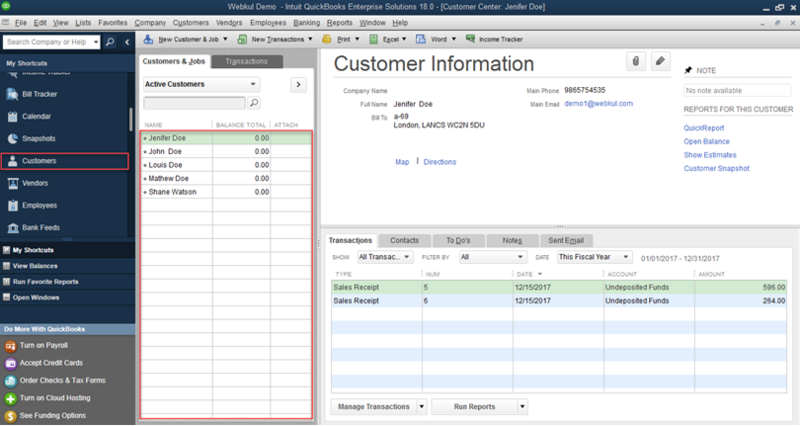 Auto-sync customer and product in QuickBooks Desktop when we edit it from opencart. Delete customer and order from Quickbooks Desktop when we delete it from opencart. Set the status of the module as Enable or Disabled as per the requirement. Set the Time Zone for the QuickBooks Company. Input the App Name(you can enter app name as per your requirement) for QuickBooks Web Connector. Enter the App Description(you can enter app description as per your requirement) for QuickBooks Web Connector. Enter the QuickBooks Web connector User Name(you can enter a user name as per your requirement). Set the QuickBooks Web Connector Password(you can enter a password as per your requirement and the same will be used for the app validation). Enter the time duration for the web connector scheduler in minutes. The value must be greater or equal to 5. Set the sync slot number and must be between 3 and 30. After the sync, the admin can check the synced customers in the QuickBooks. Selecting a customer will bring up the customer details that include - Name, address, telephone number, email address, and order details. After the sync, the admin can check the synced products in the QuickBooks. You can double tap a product to edit the product details. Selecting a customer will bring up the product details that include - Name, Description, price, etc. After the sync, the admin can check the orders customer wise. Selecting a sales receipt will bring up the related details of the order. 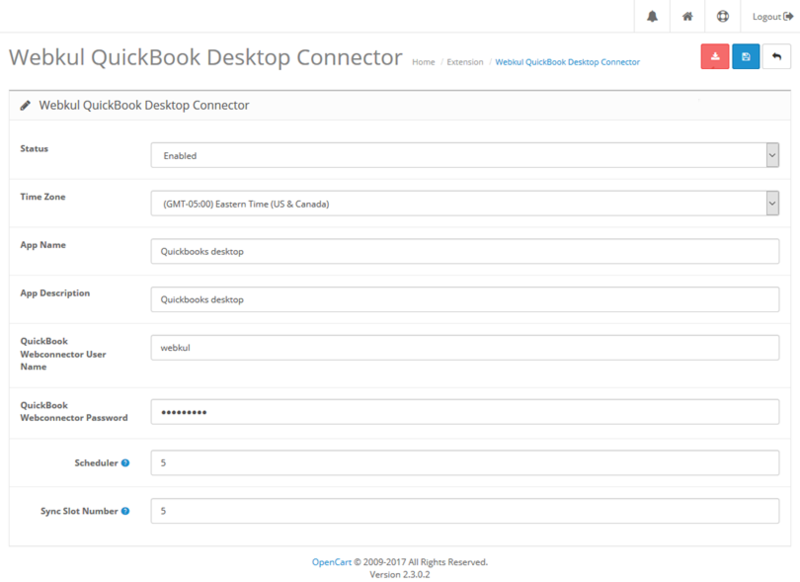 Did you buy OpenCart QuickBooks Desktop Connector ?